First app. using 3.0 Voice Chat feature! 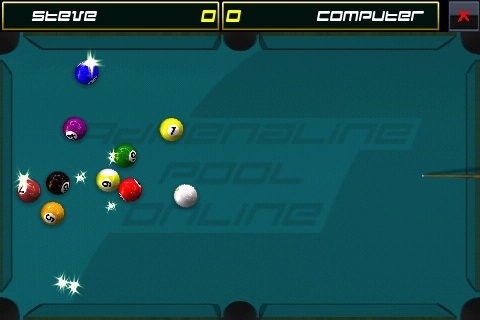 You can now play internet online pool and speak with your opponent like in real life. Get it now while on sale and less than half the normal price! Adrenaline Pool is the #1 mobile pool game with a huge active community. After the awarded first release - Time mag. awarded it #6 iPhone app of 2008 - we are now presenting the much improved successor which includes in-game voice chat to speak to your opponent. 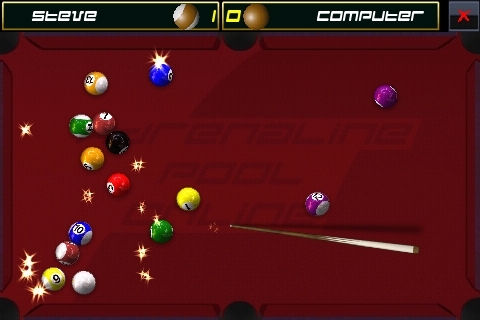 Adrenaline Pool 2 features 4 game modes and authentic physics that bring the excitement of real pool to your fingers. Play modes include 8 Ball, 9 Ball, Straight, Snooker! Play against Internet players or test your skills challenging the computer! 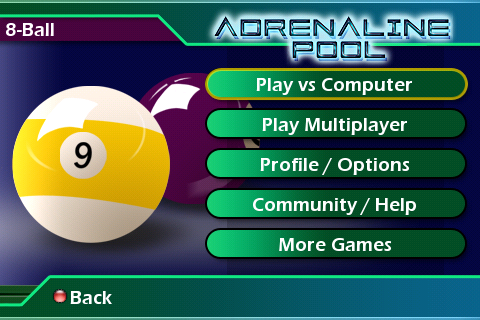 The Multiplayer game mode of Adrenaline Pool can be used with Wifi, Edge and 3G networks. You will always find hundreds of players online and can easily find opponents with our automatic match-making system. - Authentic billiard physics with English (Side Spin, Top Spin).